The Essexville Electric team will be at SVSU for the HBA Home Show March 21 and 22! We are looking forward to discussing all your electrical product and service needs during the Home & Garden Show throughout the weekend. 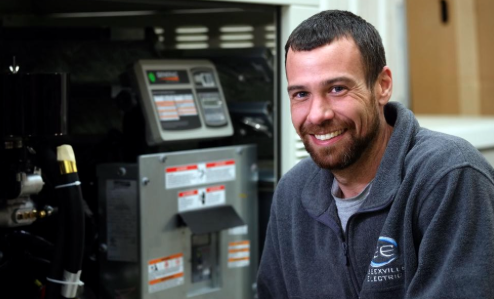 If you are interested in learning more about how a generator system would benefit your home or business, stop by and talk to one of our generator specialists. Throughout the weekend, if you sign up for a FREE in-home generator consultation you will be entered in a drawing for a Generac power washer giveaway. This is a great opportunity to get a one-on-one consultation, but don’t delay, consultations should be scheduled by April 24th to be entered in the drawing. Lastly, our “Home Show Special” is 5% off your whole house or portable generator installed in 2015! Just stop by our booth and talk to a team member to receive this discount, offered only at the home show. The show runs 9 am – 7 pm Saturday, and 11 am – 5 pm Sunday and is hosted by SVSU, in the Ryder Center. We look forward to seeing you this weekend at the SVSU show! Click here for more information and admission coupon.